"I can’t even” deal with the amount of bullying happening everyday... It’s time we take a stand together to make a difference. It starts with one person, YOU. Let’s stop saying I can’t and start saying I CAN! Standing together to say "I Can Even"
"I can’t even deal with the amount of bullying happening everyday... It’s time we take a stand together to make a difference. It starts with one person, YOU. 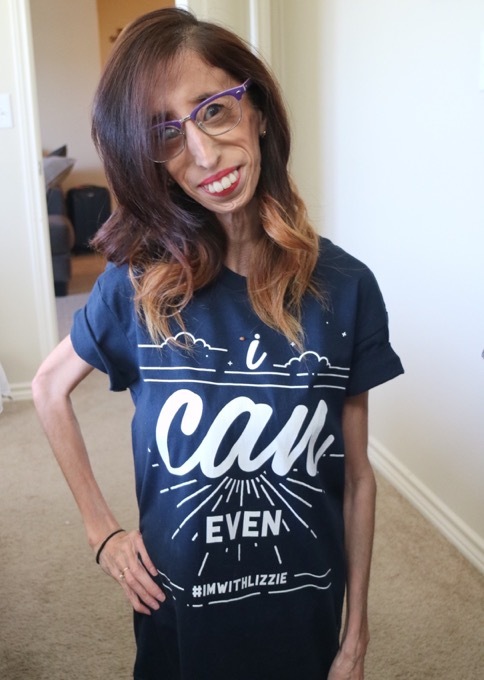 Join Lizzie in her fight to combat all forms of bullying by saying "I can even" instead of the phrase "I can't even". A portion of the proceeds raised by the "I Can Even" design benefits the Megan Meier Foundation. The mission of the Megan Meier Foundation is to promote awareness, education, and positive change in response to the issues surrounding bullying, cyberbullying, and suicide. The foundation believes that through empowering our society, we can work together to make a difference and create a safer and kinder world.